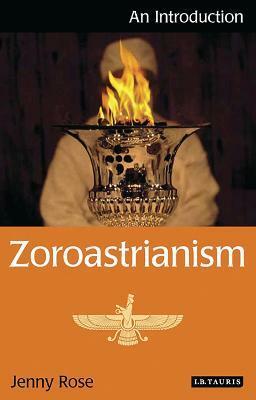 Zoroastrianism is one of the world's great ancient religions. In present-day Iran, significant communities of Zoroastrians (who take their name from the founder of the faith, the remarkable religious reformer Zoraoster) still practice the rituals and teach the moral precepts that once undergirded the officially state-sanctioned faith of the mighty Sasanian empire. Beyond Iran, the Zoroastrian disapora is significant especially in India, where the Gujurati-speaking community of exiles from post-Sasanian Iran call themselves "Parsis." But there are also significant Zoroastrian communities to be found elsewhere, such as in the USA, Britain, and Canada, where western cultural contexts have shaped the religion in intriguing ways and directions. This new, thorough and wide-ranging introduction will appeal to anyone interested in discovering more about the faith that bequeathed the contrasting words "Magi" and "magic," and whose adherents still live according to the code of "Good Thoughts, Good Words, Good Deeds." The central Zoroastrian concept that human beings are continually faced with a choice between the path of "good" and "evil," represented by the contrasting figures of Ahura Mazda and Ahriman, inspired thinkers as diverse as Voltaire, Mozart, and Nietzsche. Jenny Rose shows why Zoroastrianism remains one of the world's most inspiring and perennially fascinating systems of ethics and belief.